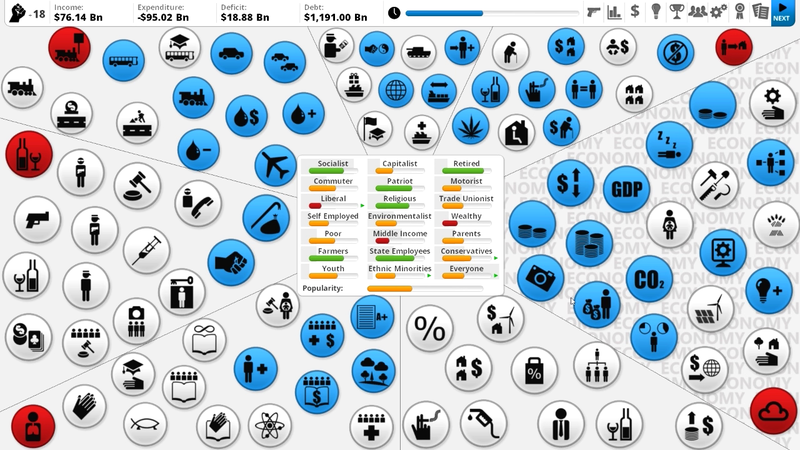 Democracy 3 is a fantastic political simulator. I’ve played several political simulators in my time, with my favorite being the “Commander in Chief” series, but Democracy 3 has now taken that throne. Getting the hang of a political simulator can be a bit of a hassle, and that’s no exception with this game. 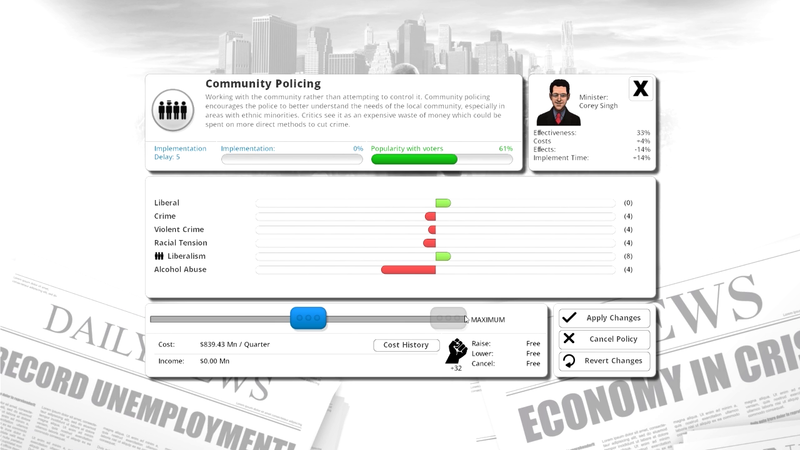 Democracy 3, however, is packaged with a very unique UI that attempts to simplify the process, making most information visible on the home screen, rather than buries beneath several menus. The UI consists of a variety of circles, each representing an issue or some form of statistic regarding your country’s current condition. These circles are all linked to each other in some way. For example, crime is linked to gambling, narcotics, prostitution, etc. In order to decrease the amount of crime, you’ll need to alter one or more of the connected issues. This can become an issue when you touch something like GDP, which is connected to just about everything. During my first play session, I brought down crime tremendously using a rather drastic solution. I legalized all narcotics, removed the age restriction on alcohol, and legalized all forms of gun ownership. Not only did this severely drop the crime rate, but it also made my country a ton of money after I placed a ridiculously high tax on alcoholic beverages. Even with this tax, my nation still suffered from alcohol abuse, surprisingly. Each decision made made affects the support of various groups of people. 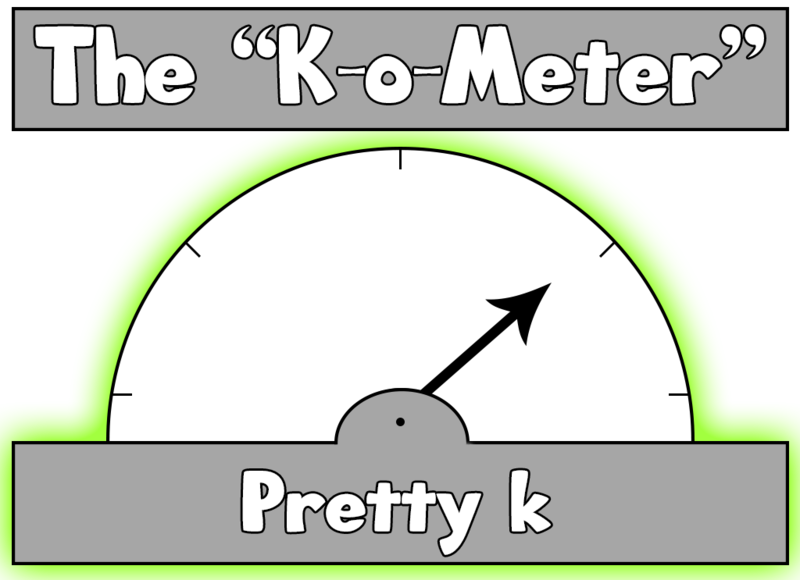 If I were to ban creationism teachings in the education system, the religious group would highly disprove of me and most likely not be voting for me when reelection time rolls around. However, a few other groups would approve of this decision, and my ratings with them would increase. I can highly recommend Democracy 3 as both a political simulator and as a fun time-waster. The game can be played both seriously and just for kicks, which I spent most of my time doing.